Another re-visit - are we becoming predictable? This time we head to Kew and Estivo. 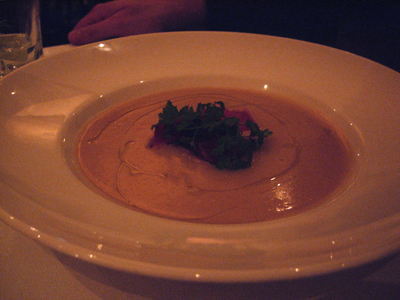 Paalo has the Cannellini Bean and Truffle Soup - it's rare that Paalo orders legumes but the lure of truffle won over. For a person that isn't too fond of beans he really does enjoy the soup and not just for the truffles. 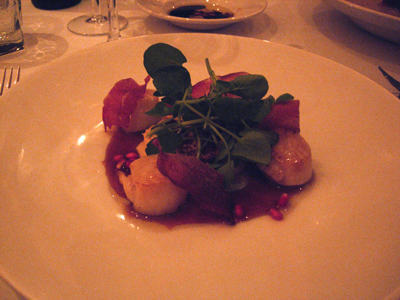 I have the Roasted Scallops with prosciutto and pomegranate - I am particularly impressed with the scallops, cooked perfectly they still retain a translucent character. Paalo has the venison loin with soft polenta - a simple dish but cooked well - a lovely piece of loin, still pink served with a fluffy mould of soft cheesy polenta. 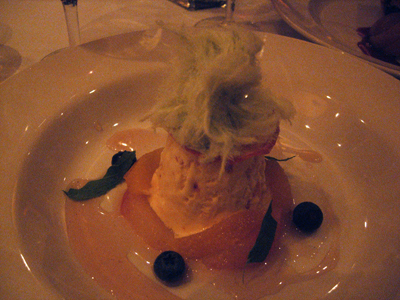 A dish that welcomes you to winter. 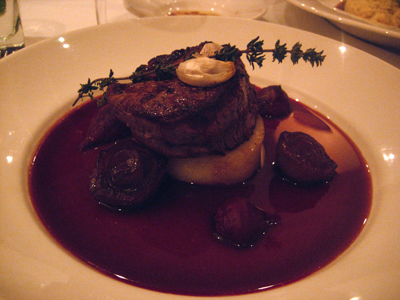 I have the eye fillet on potato fondant with roasted beetroot and shallots, served with beetroot reduction. Paalo enjoyed this dish last time so I thought I'd try it. The eye fillet came out as requested - rare. 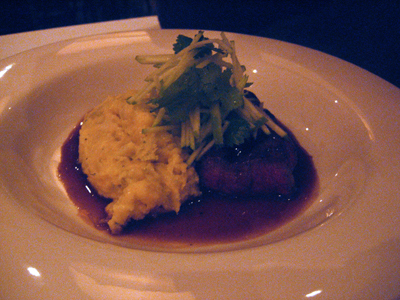 Tender and juicy - it was a well executed dish. 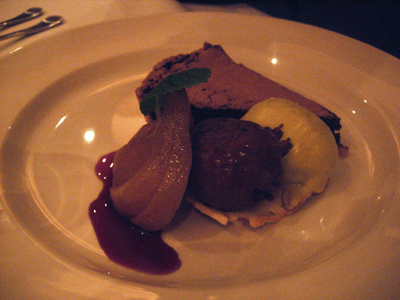 Paalo has the chocolate tart with chocolate and pistachio ice-cream and poached pear.